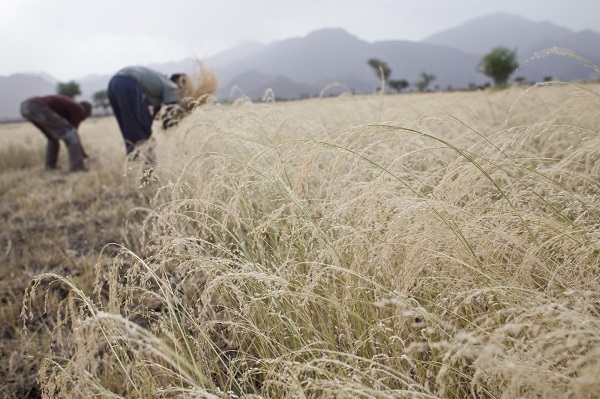 Crops that have been forgotten over the last century are being rediscovered. Scientists and policymakers are now beginning to recognize the value of so-called ‘orphan’ crops, affirming what local communities have known for generations. The African Yam Bean, the Desert Date and Ber (a stocky tree with a vitamin-rich berry) exemplify the paradigm. 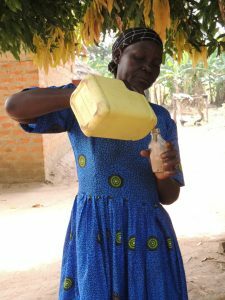 Though not traded internationally, they are uniquely adapted to their local environments and play a vital role in supporting diverse diets in Sub-Saharan Africa. 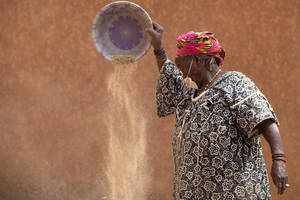 A woman cleaning Moringa seeds in Niger. Moringa is a genus of shrubs and trees with multi-purpose uses. All parts of the Moringa tree are edible. Also known as ‘neglected and underutilized’, ‘minor’ or ‘promising’ crops, orphan crops have been overlooked by research, extension services and policy makers; governments rarely allocate resources for their promotion and development. That results in farmers planting them less often, reduced access to high quality seeds, and loss of traditional knowledge. Neglected and underutilized species have been overshadowed by those in greater demand. Of the 30,000 edible plant species, a mere 30 are used to feed the world. Yet these neglected and underutilized crops can help to increase the diversification of food production, adding new species to our diets that can result in better supply of particular nutrients, i.e. essential amino acids, fiber, proteins. In addition to diversifying nutritional intake, neglected and underutilized crops provide economic and environmental benefits. Farmers can grow them on their own, as part of crop rotation systems or inter-plant them with other crops, protecting and enhancing agro-biodiversity at the field level. Having a bigger number of species to choose in a crop rotation system allows farmers to have a more sustainable production system. By changing species in a crop rotation system the cycle of some pests and diseases is disrupted and probabilities of infestations are reduced. “By expanding the portfolio of crops available to farmers, we can help build more diverse and resilient cropping systems,” FAO Assistant Director-General Ren Wang said. “FAO would like to encourage investments in researching and improving the productivity, adaptability and utilization of neglected crops,” he added, announcing new efforts to promote wider use of neglected and underutilized crop species and their varieties in Africa. FAO, the World Agroforestry Centre (ICRAF) and other partners have agreed to work together to strengthen the capacities of FAO member countries and to better focus research and development, plant breeding and seed delivery systems. The African Orphan Crop Consortium (AOCC), an African-led, international consortium founded by the New Partnership for Africa’s Development (NEPAD) and Mars, Incorporated are sequencing the genomesof 101 African underutilized crops and making this information publicly available. The AOCC is also training African plant scientists to make crops and their varieties more nutritious, and improve their yields and ability to withstand the effects of climate change. “This collaboration aims to enhance Africa’s food security with African scientists using some of the best tools and equipment available anywhere in the world to make safe, nutritious and affordable foods available on a sustainable basis,” said ICRAF Director General Tony Simons, whose organization provides Secretariat services, a laboratory and classrooms to the AOCC. 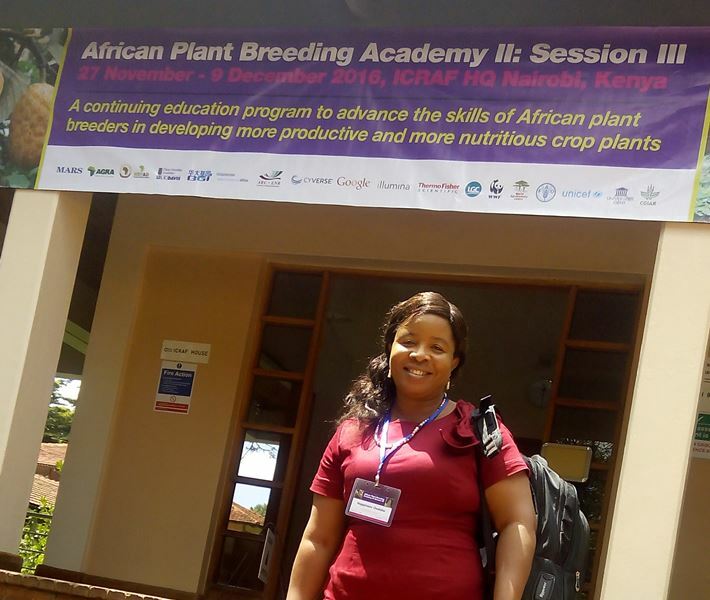 “This information will allow breeders to use the same strategies and technologies as those for Western crops, such as maize, to make rapid improvements in African crops,” added Simons. Among the crops being researched at ICRAF is the Baobab, whose calcium-laden fruit and leaves are prized for sauce in West Africa. The recently launched efforts are in line with FAO’s Second Global Plan of Action for Plant Genetic Resources for Food and Agriculture and the International Treaty on Plant Genetic Resources for Food and Agriculture, which promote the conservation and sustainable use of neglected and underutilized species. This initiative will raise awareness of the potential role of neglected and underutilized crops in more productive and sustainable crop production systems that are resilient to the effects of climate change. the plants around it may have their DNA deciphered. 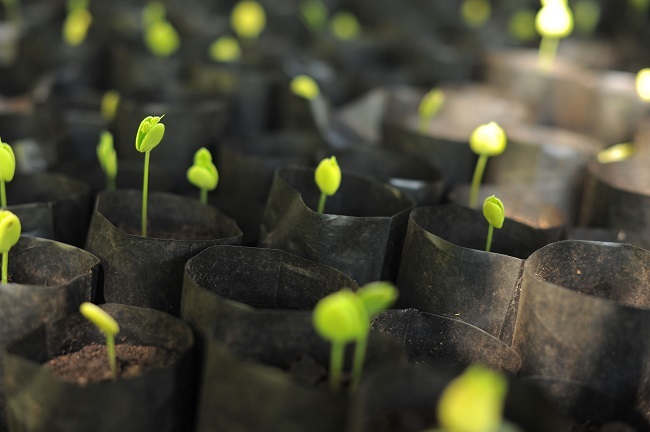 Plant breeders are improving food plants and building a more food-secure future for Africa. One has been working at it all her life despite early challenges. A plant breeder called Happiness spent 17 months trying to study a herbaceous vine prior to breeding. ‘It is found in the thick forest. But when I tried to domesticate it, it never flowered. This indicated that it may be plastic in its floral ontogeny requiring certain environmental signals/stimuli to trigger flowering’, she said. Gwali is talking about oil from Vitellaria paradoxasubspecies nilotica, a tree that has been his intellectual quest for 20 years. He is in Nairobi at the World Agroforestry Centre (ICRAF) for a training to which top plant breeders from around the continent have been recruited. His aim is more productive, earlier-maturing trees. 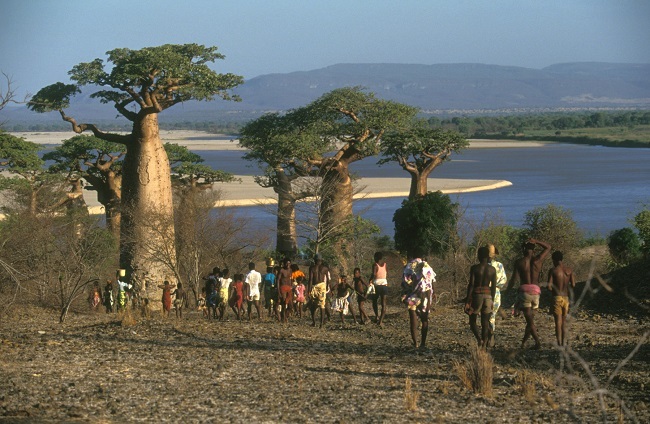 (Shea trees typically mature in 15 to 20 years).